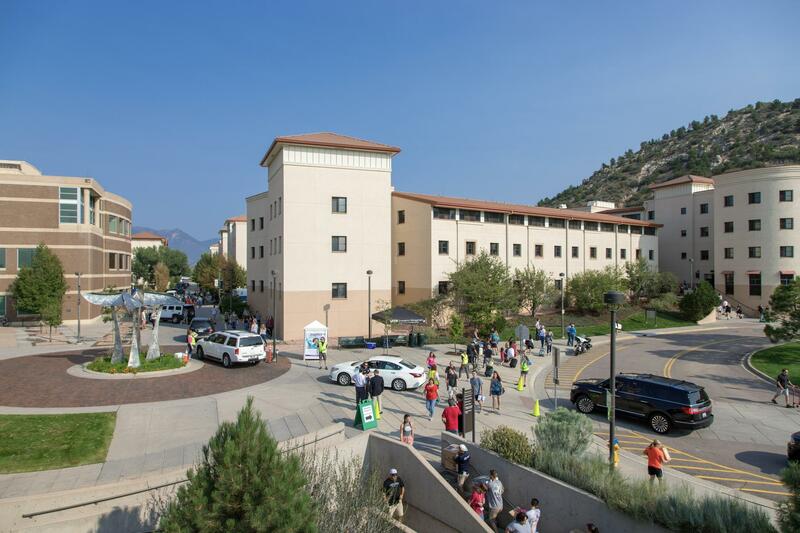 Family members, student organizations, athletes, faculty and staff helped welcome 1,300 first-year students to campus during move-in August 14. 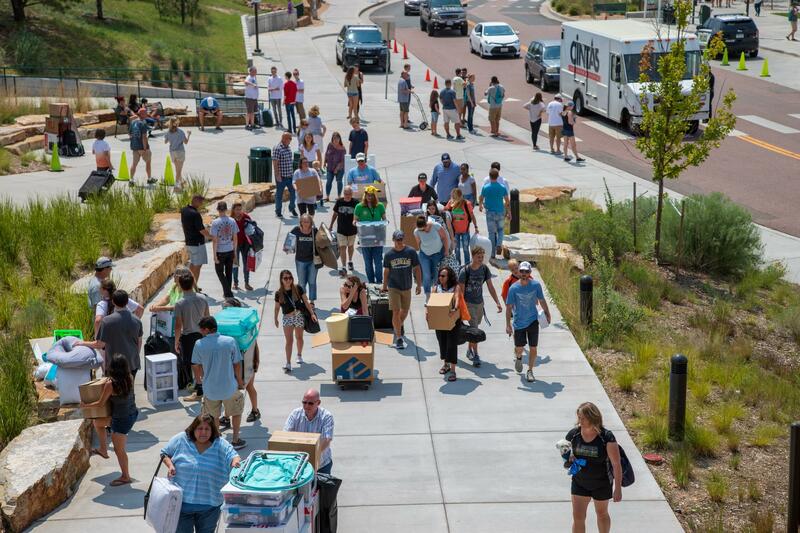 Chancellor Reddy helping with move-in. 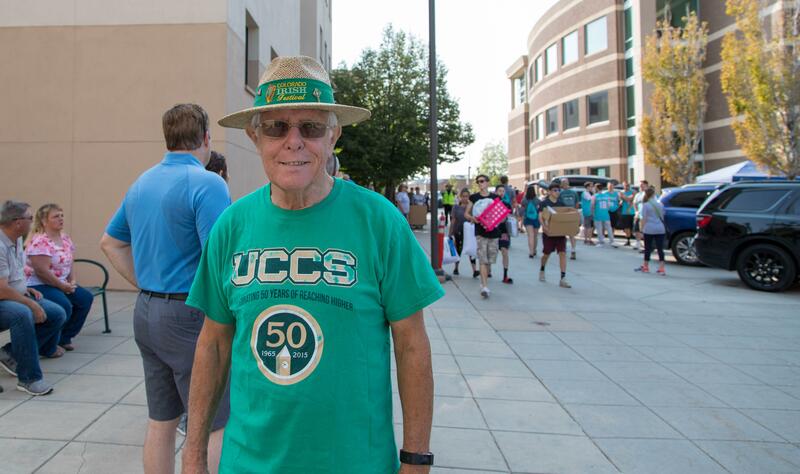 Bob Durham, associate professor, Psychology Department, has volunteered at move-in since the first move-in back in 1996. View entire Clyde’s Kickoff album.